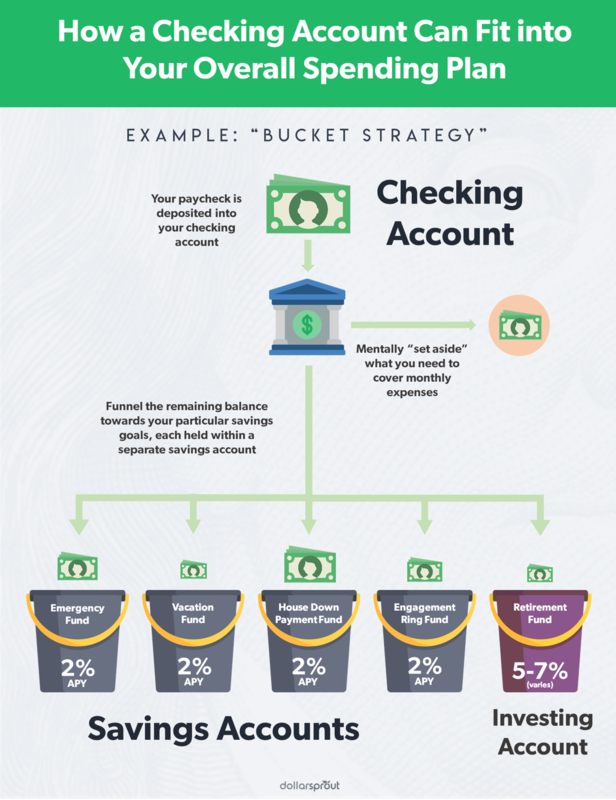 When you think about a checking vs. savings account, they seem almost identical at first glance. Both are used to safely store your money and hopefully earn a little interest in the process. But when you boil it down, there is a major difference between checking and savings accounts. Do I Need a Checking Account and a Savings Account? Should I Keep My Checking and Savings Accounts at the Same Bank? Should I Link My Checking and Savings Accounts? A checking account is a bank account designed to hold your everyday spending money. This is the account you’ll use to make debit card purchases, write checks, or withdraw cash for everyday spending from an ATM. Each bank and credit union sets the rules for its checking accounts. In general, most checking accounts are free and you can make an unlimited number of transactions into and out of them. They usually pay little, if any, interest. Some banks and credit unions offer interest-bearing or rewards checking accounts, which work a little differently. It’s important to read the fine print of these accounts because there may be fees or penalties if you don’t meet the requirements each month. These accounts commonly come with minimum requirements for balance amounts, transactions, or direct deposits. A savings account, on the other hand, is exactly what it sounds like — an account for saving extra money. You can have a general savings account for your emergency fund as well as additional accounts for specific purposes like saving for your next vacation, car repairs, veterinary bills, etc. Most banks will let you open several savings accounts at once so that you can “bin” your savings. Savings accounts come with some restrictions that make them a less than ideal choice for everyday spending. For example, savings accounts are limited to six transactions per month due to federal regulations (although ATM withdrawals and in-person withdrawals typically don’t count towards this limit). You also generally can’t use a debit card or checks to pay for purchases from your savings account. There are several big differences between checking and savings accounts. Let’s look at a side-by-side comparison. Savings accounts generally offer higher interest rates than checking accounts. The highest interest rates currently offered on savings accounts are upwards of 2.50% APY. Checking accounts generally don’t offer interest at all. 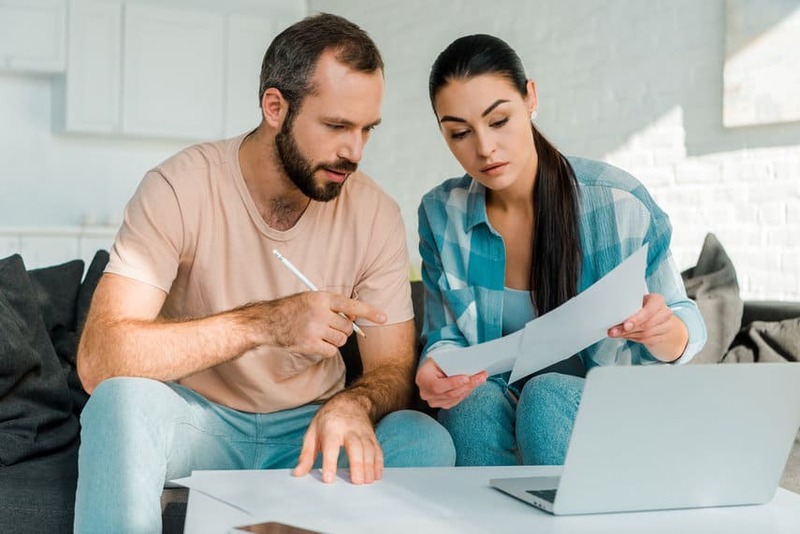 Some types of checking accounts, such as rewards checking accounts, may offer high interest rates on a limited balance amount, but you’ll need to meet a lot of requirements to receive those rates. Savings accounts are usually free. However, some high-yield savings accounts may come with a monthly fee if you don’t meet a certain minimum balance requirement. Checking accounts are also generally free. If you opt for a rewards checking account, you may have to pay a fee for not meeting the minimum account requirements each month. 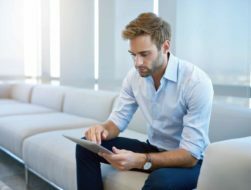 It’s a good idea to carefully weigh whether you’ll be able to meet these requirements before opening the account, or else you could end up paying costly fees. You can withdraw money from your savings account online via ACH transfer, through an ATM, from a bank teller, with a cashier’s check, or using a wire transfer. Checking accounts let you do all these same transactions, but you can also use your debit card or write checks to make purchases. As we mentioned above, savings accounts are limited to just six withdrawals per month for most types of transactions combined. These withdrawal limitations are set in place by federal Regulation D. A few types of withdrawals, including ATM or in-person withdrawals, don’t count towards this limit. If you exceed the 6-withdrawals limit, most banks and credit unions will charge you an “excessive withdrawal fee,” which can range from $5-$10 or more. They can also shut down your account if you continue to go over the limit. Checking accounts, on the other hand, have no withdrawal limitations. You can make as many withdrawals as you want. That’s what makes them so great for everyday spending. Still, most banks do have limits on how much you can withdraw per day through certain methods (like ATM withdrawals). That’s why it’s a good idea to check with your bank before making any big money moves. This is what most banks and credit unions offer. It’s exactly what it sounds like — free, but they generally don’t offer interest or any rewards. These checking accounts offer interest payments and/or rewards, like points towards discounts or identity theft protection. They usually come with more requirements, such as minimum balance or transaction amounts. Banks and credit unions can actually deny you for a checking account if you’ve had trouble managing one in the past. Almost anyone can be approved for a second-chance checking account. However, they often come with high monthly fees. These are special savings accounts at credit unions that establish your membership (credit unions view you as a member, not as a customer). Typically, you’ll be required to deposit — and keep — at least $5 in the account to keep your membership active. These accounts are designed to help you save for the holidays. You can open the account at any time of the year. Some accounts may require you to make a minimum deposit each month, and you can’t withdraw the money from the account. As the holidays roll around, the money — plus interest — is automatically deposited into your checking account. Individual Retirement Accounts (IRAs) are designed for you to save for retirement on your own. These savings accounts have a lot of rules dictated by the IRS regarding how much you can save, when you can withdraw your funds, etc. IRAs opened at banks and credit unions typically earn far less than at investment brokers. However, they are FDIC insured. 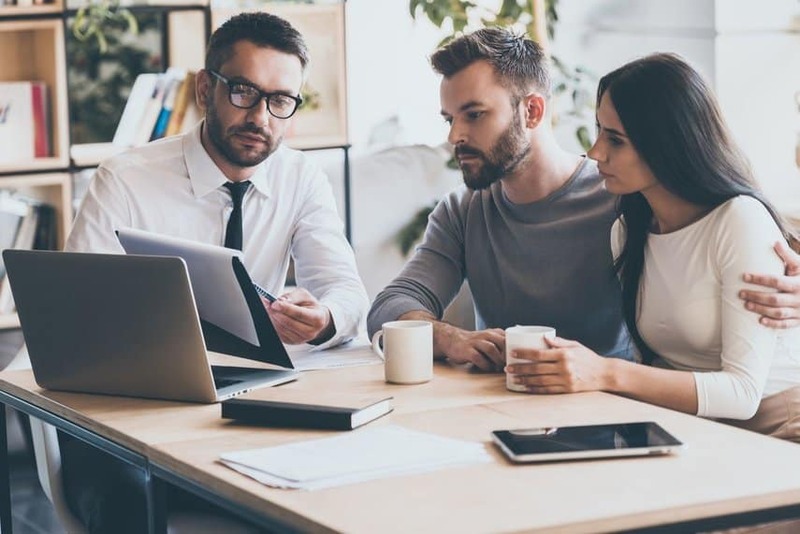 Health Savings Accounts (HSAs) are another type of IRS-governed account designed specifically for people to save for health care. These accounts are reserved for people with High Deductible Health Plans. 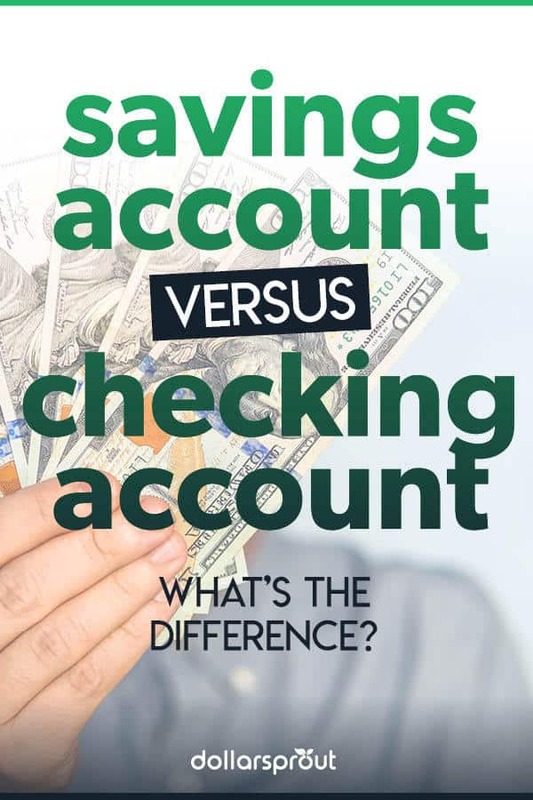 The differences we’ve highlighted so far between a checking account vs. savings account are fairly clean cut. However, there are still a few questions we see over and over. Not necessarily. If you have a rare checking account that offers a high interest rate and/or you don’t need to save much money, then you can probably get by with just a checking account. For most people, however, it’s best to have both types of accounts. That way you can earn a higher interest rate on your savings. It also allows you to separate your savings from your everyday spending, so you’re not as tempted to spend it. If your checking and savings accounts are at separate banks, it can take a few days for your money to be transferred from one bank to the other due to the limitations of ACH transfers. If you need the money immediately for an emergency, you might not have instantaneous access to it. However, there are some reasons why you might want to consider opening accounts at separate banks. If you could earn a far higher interest rate with a savings account at another bank, it might be worth opening that savings account. Similarly, if you find yourself withdrawing your savings too frequently to spend on spur-of-the-moment purchases, having an extra step of transferring your money over can make it easier to stop sabotaging your savings goals. If your accounts are linked, you’ll be able to transfer money between them. Another big advantage of linking your savings and checking accounts is that you can set up overdraft transfer protection. If you overdraw your checking account, this allows your bank to automatically transfer over the cash from your savings to cover the deficit. There is usually a fee for this service, but it’s often a lot cheaper than having a negative checking account balance and paying an overdraft fee. You’ll need to speak with your bank to set this up ahead of time so you’re ready if you overdraw your checking account. Savings and checking accounts are both complementary pillars of a solid money management system. Checking accounts are used for everyday spending, while savings accounts are better used to store money for future spending. For most people, using these two accounts together — and using them wisely by budgeting, avoiding overspending, and saving as much as possible — is key to a happy financial future.